Just off lease! Very low KM's! 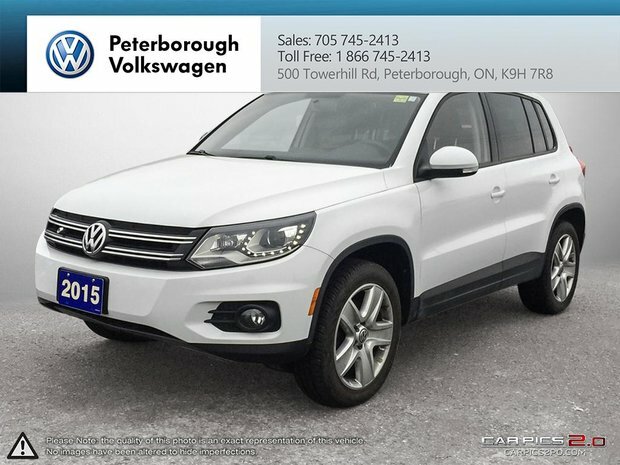 This Tiguan was leased from our location here in Peterborough and also serviced with us! It comes equipped with; pano sunroof, heated seats, cruise control, voice activated bluetooth, VW 4motion technology, and much much more! Special LOW finance rates available through our Certified Pre-owned Program, as well as VW factory extended warranty options! 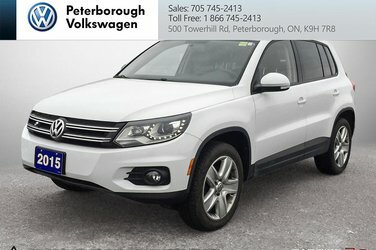 Test drive today at Peterborough Volkswagen located at 500 Towerhill Road! We have been a family owned and operated dealership since 1969 and pride ourselves on customer service! 705-745-2413.